Why do parents make the decisions they do? 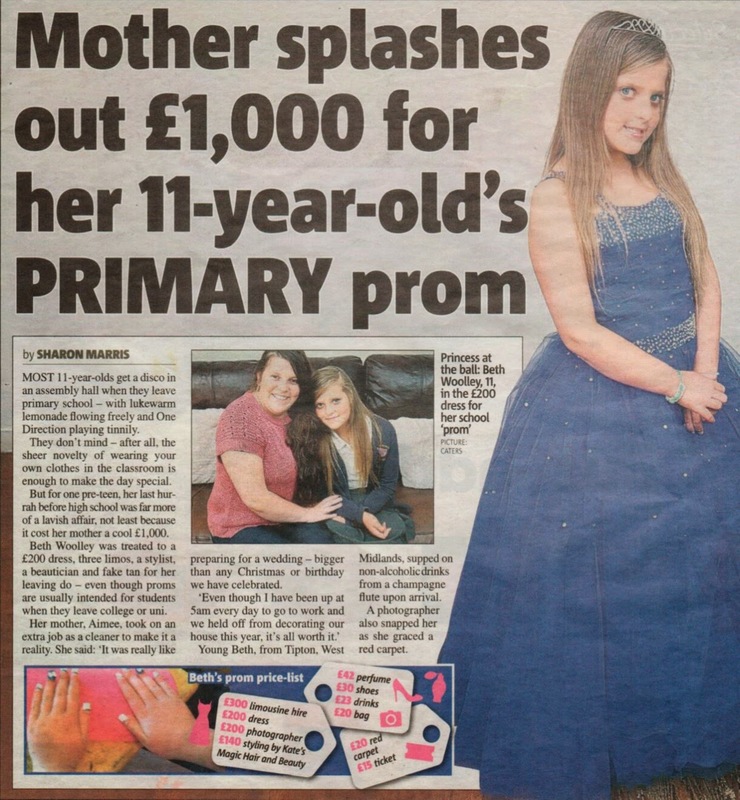 As many of you know I was in Europe for the past few weeks and some of you may have seen my Facebook posting re: the UK mother who had spent a ridiculous amount of money on her 11 year old daughter attending a primary school prom. The story attracted a great deal of attention in the UK with many of the comments focusing on what would motivate a parent (who quite clearly was not able to easily afford such a large amount of money - she had to take an extra cleaning job to pay for it!) to do such a thing. The girl was given a £200 dress, provided with three limos (what were they for? ), a beautician and a stylist and of course, the obligatory fake-tan! Can parental monitoring really make a difference? I was speaking to a school counsellor recently and asked her what was the main issue she dealt with when talking to teens. Her answer was not surprising and very similar to what I hear from young people ... students having issues with their parents - discussions that usually started with - "my parents are trying to control me", "they are constantly interfering and wanting to know what I'm doing and who I'm with" and "my parents want to ruin my life!"